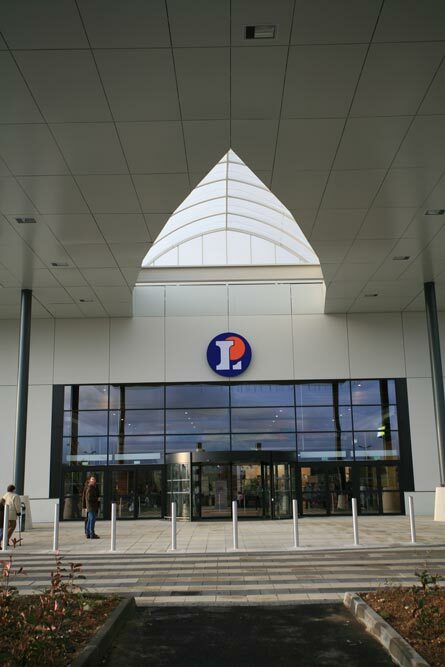 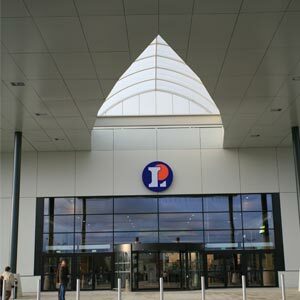 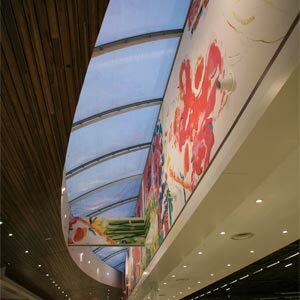 In the commercial centre of Leclerc en Les Portes du Valois, three skylights were built as well as three coverings to access the building. 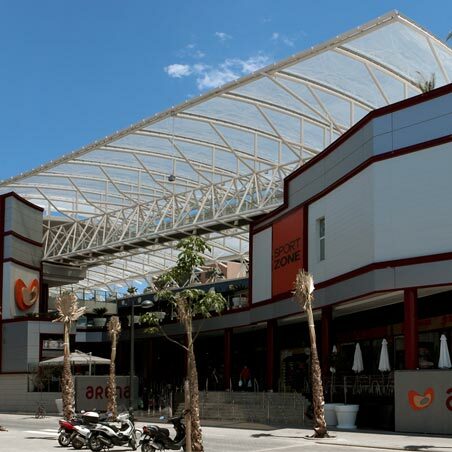 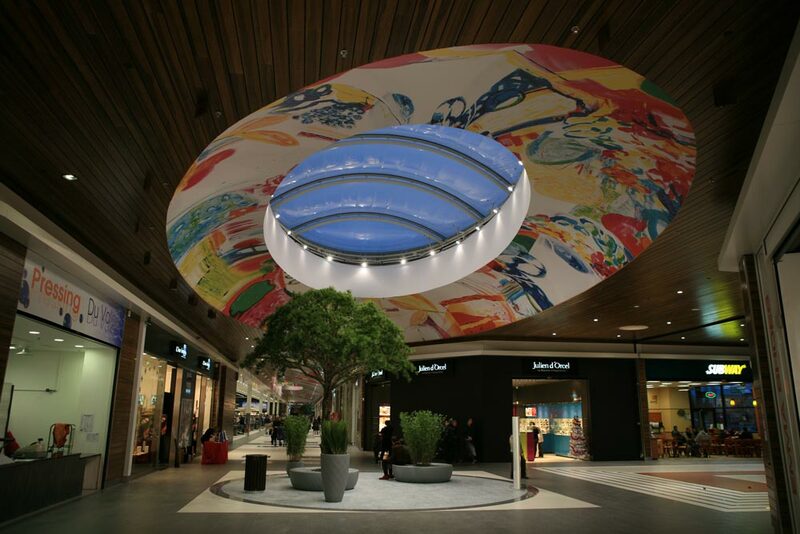 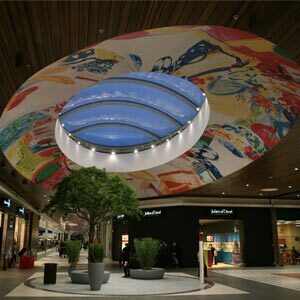 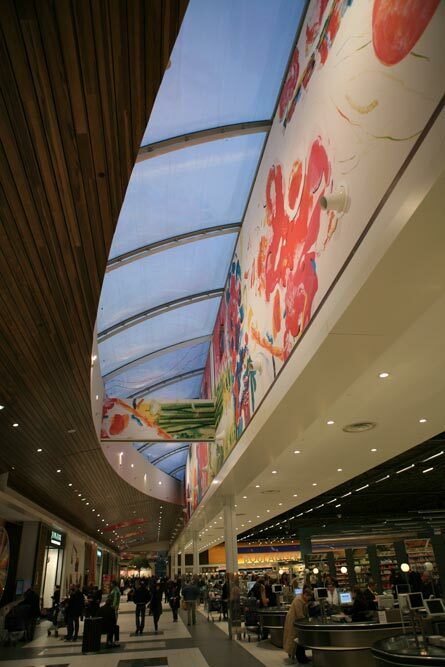 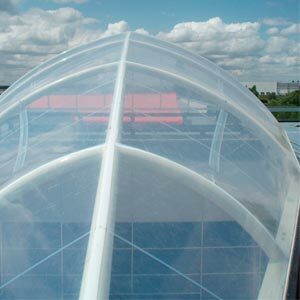 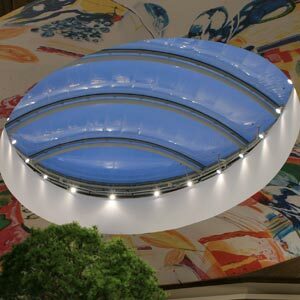 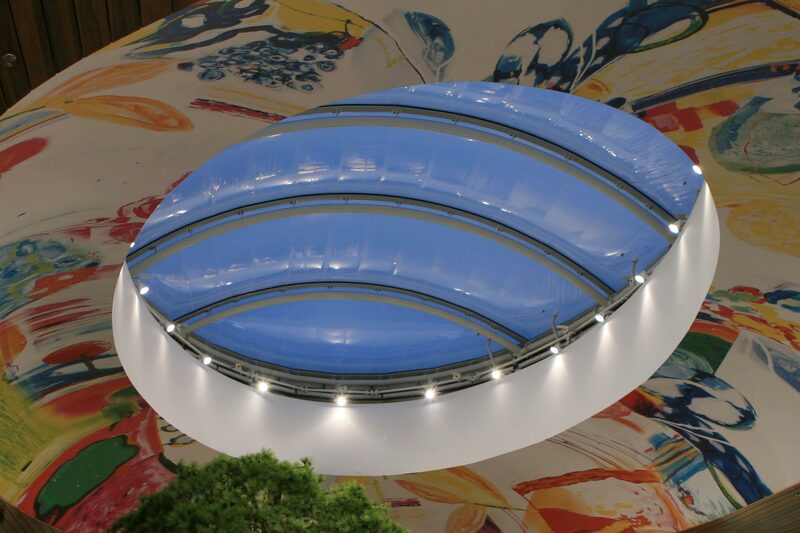 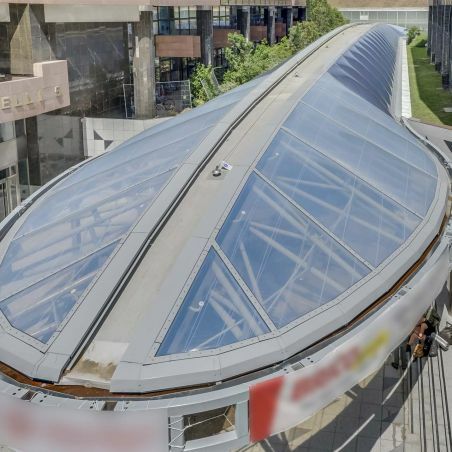 Outdoor, a monolayer ETFE coveringsand inside, ETFE cushion skylights are light sources that give richness to the interior decoration of the commercial centre. 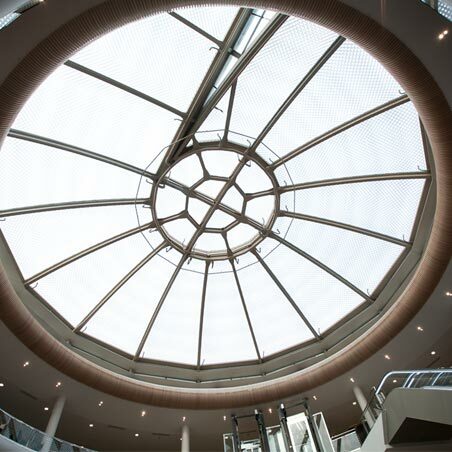 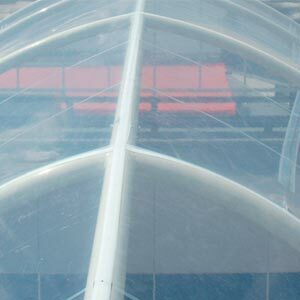 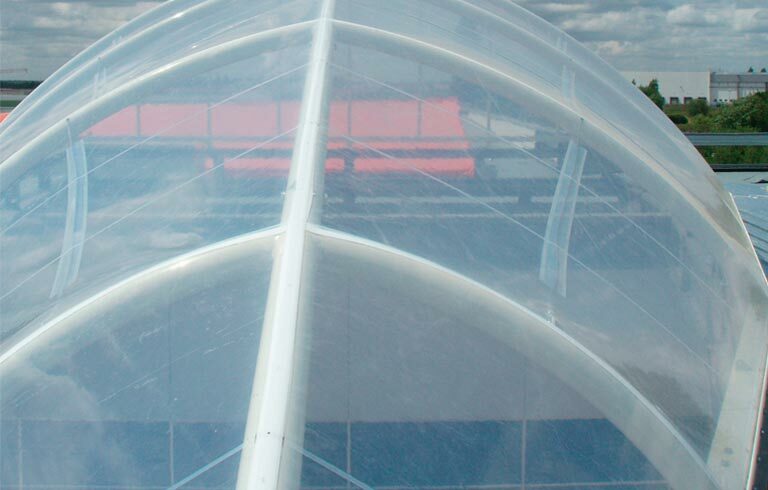 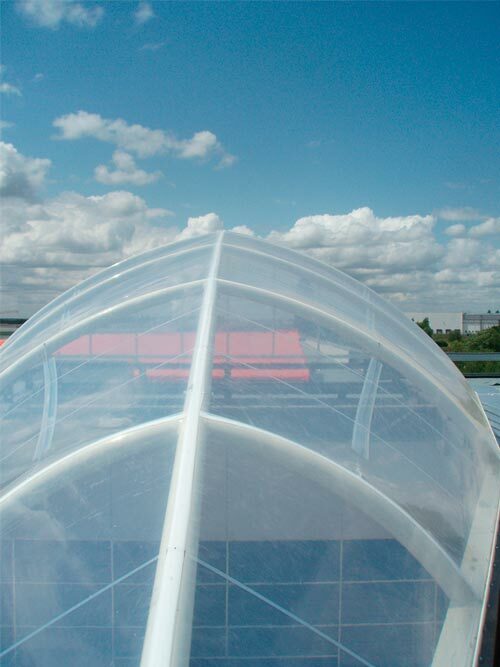 In the accesses of the building, the transparent domes are constructed with an ETFE singlelayer sheet system. 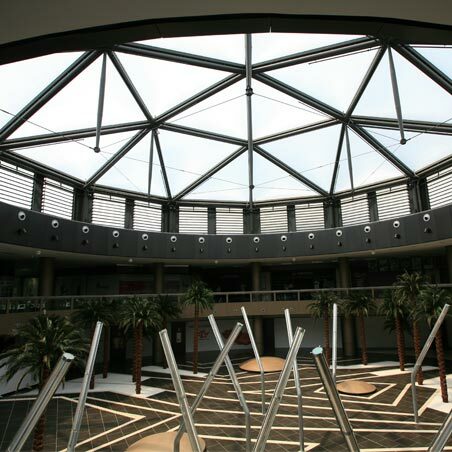 By day, natural light floods the interior space, at night it lights up and turns into a large lamp visible from the parking area.